You want a swim, a leisurely stop for lunch, a trip ashore, a tranquil snooze... there’s no shortage of occasions to anchor when cruising. If this operation seems as obvious as it is common, it can also involve an element of risk. In reality, a boat at anchor can get into difficulty much faster than one under way. So how about revisiting the subject, before sailing out to that cove, beach or another lagoon? 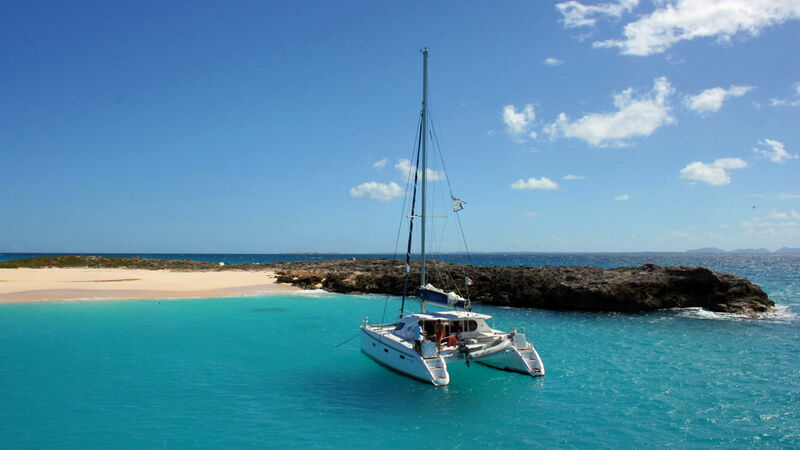 First of all, know your equipment: the anchor must be heavy enough - and especially have sufficient surface area relative to the displacement of your multihull. The same goes for the diameter of the chain and the rode if applicable. Where to anchor? Firstly, in safe, sheltered waters. Listen to the weather forecast. An idyllic anchorage with an offshore breeze can easily become a surf spot with an onshore wind. Beware of the seabed: opt for sand or dense mud; avoid rocks, small gravel and any sea grass. If the wind turns, you can find yourself 60 meters from where you anchored before swinging. Keep an eye on the plotter! Also beware of other sailboats: a monohull doesn’t necessarily swing the same as your multi. 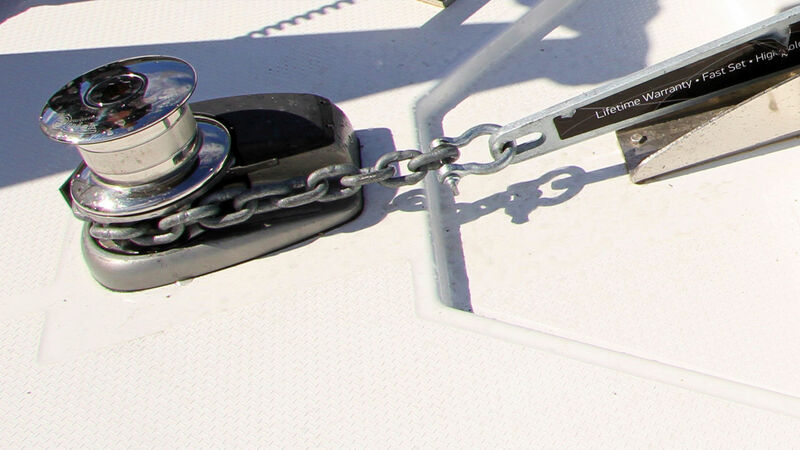 The optimum chain length is five times the height between the seabed and your bow roller. The traditional "three times the depth of water" is totally insufficient, especially in two meters of water. This formula does not take into account the height of the bow roller above the water. If you drop 6 meters of chain at 3 meters from the bottom, its angle of pull will be 30°... which leaves your anchor no chance of holding in the event of a strong wind. In case of doubt, without exception, someone capable of maneuvering the boat will have to stay on board. Make sure your windlass is working properly. Is it subject to the chain jamming up? If so, think about spreading it out at the bottom of the locker. Know the location of the fuse: they can frequently trip with too much strain on the chain. Also keep spare fuses in the chart table. 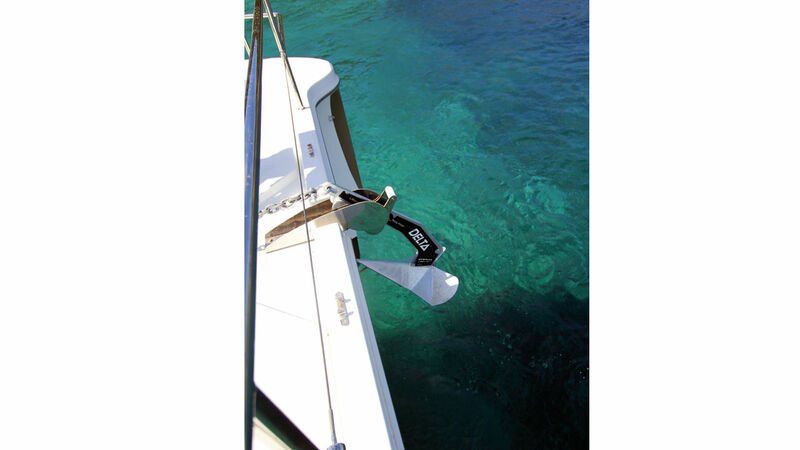 Most multihulls are equipped with a rope bridle secured to both bows, to absorb the load of the chain. To set this in place, once you've anchored, you just have to clip the central karabiner of the bridle onto the chain and then ease out a little at the windlass. As soon as the chain is slack, the bride is in action. In the case of an anchorage which is particularly dense with other boats, or for example, with Mediterranean-style moorings at a dock, it may be useful to rig an anchor buoy, in other words a float and a length of line bent on to the anchor. If it gets stuck, you’ll still be able to clear it by pulling on this rope.